Description: Join us to eat some yummy cakes and help raise money for Tommy’s to aid their research! All donations from the group will go to the charity. Description: Spring into our Eggstravaganza Party where your little chicks can have some Messy Easter fun with Egg Rolling, Easter Rice and Feathers. Or explore nature at its messy best with Gloopy Ducks, Bunny Tails, Spaghetti Birds Nests and more! Be prepared to get MESSY and have lots of fun and leave the cleaning up to us! Stalls include baking, book and more. Description: Spring is here! Join a Countryside Ranger on this circular walk around the Donmouth Local Nature Reserve (approx 3km). A low tide means we should get good views of a variety of wading birds. Meet at the bird hide on the Esplanade. First Buses 1 & 2 go to the Bridge of Don. Suitable for adults and older children. 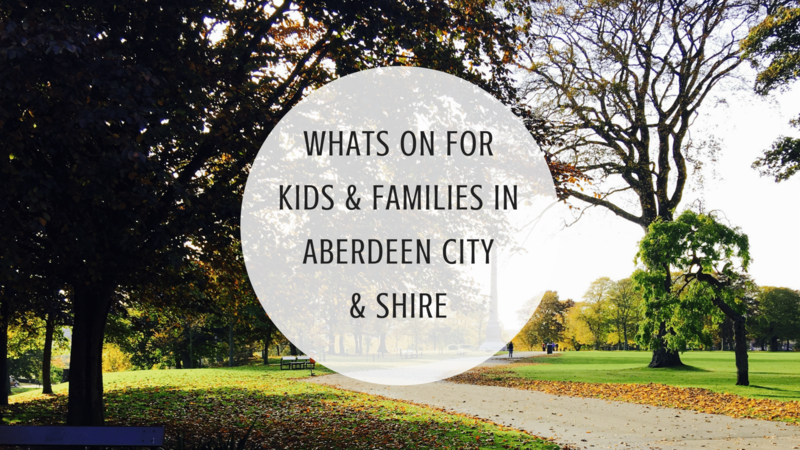 Booking essential – call 01224 326 429 or email countrysideranger@aberdeencity.gov.uk to book your FREE place. 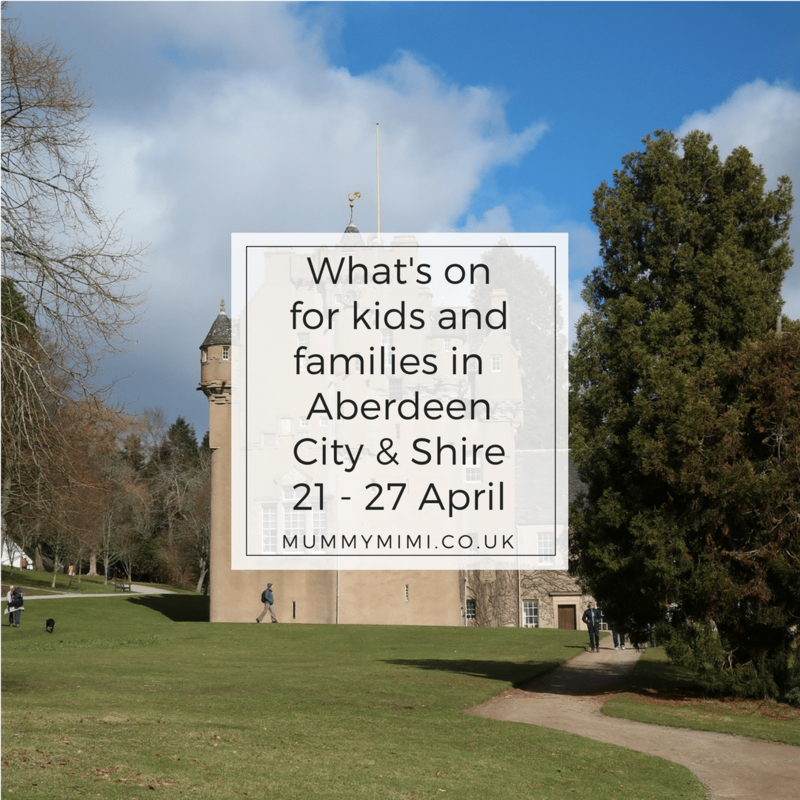 Description: Aberdeen was nicknamed “Siren City” during WW2 after a terrible raid in the Spring of 1943 in which 130 bombs were dropped by the Luftwaffe in one hour. This tour follows the route of the bombers and looks at the devastation caused through archive photos of the sites and reminiscences of the time. Starting outside the old Kittybrewster Railway Station – now the council depot opposite Belmont Rd – we walk a path through the residential streets of Bedford and Elmbank, by St Stephen’s Church which was badly damaged, and through the centre of town taking in the industrial districts of Berryden and the Broadford Works, ending at Charlotte Street, where the only concrete air raid shelter to be hit was situated. A sometimes moving historical account of war-time Aberdeen. Doors 6.45pm, film 7.30pm, refreshments available. Entry by donation on the door to Cats Protection Deeside Branch North East Scotland. U10s must be accompanied by a responsible adult. Description: Come and help us celebrate the 1st Birthday of the Tin Coo. We are holding a fun day for all the family with farm walking tour, hog roast, bouncy castle and face painting. Full package: Adults £12.50, Child £7.50 – includes farm walking tour, hog roast with soft drink, bouncy castle and soft play. Half package: Adults and child £5.00- Farm tour, bouncy castle and soft play. Description: Discover how the giants of the past lived millions of years ago. What they ate, how large they were and find and handle some fossils in our dig pit. Description: Come along and have some fun, lots of young baby/toddler todays and a seperate ball pit along with a toddler bouncy castle and one for the older kids as well as their own ball pit. Isabelle Pop up Grub will be there with amazing food, tea./coffee, soft drinks and cakes too. Description: The Liberty Kitchen will be situated in Chapelton on the afternoon of Sunday 22 April offering visitors the chance to try a range of fresh, local, seasonal and organic produce. Choose from hot and cold drinks, savoury meals or delicious yet healthy sweet treats before enjoying the surrounding green space of Hume Square. Description: An Infant and child first aid awareness course covering birth to puberty. Ideal for Parents to be, Parents and Grandparents. A relaxed session with no test papers, but covers key subjects that we all worry about with children. Young babies are welcome to attend too. For more info or to book, please email francesca@littlelivesfirstaid.co.uk or message on via the Little Lives First Aid Facebook Page. Description: Come and see the Daffodils and MUCH, MUCH more! An opportunity to see the Eighteenth century walled garden and policies at Grandhome has “popped up” this Spring. The walled garden incorporates a rose garden (replanted 2010) and the policies display a wide range of daffodils, tulips, rhododendrons, azaleas, mature trees and shrubs. The Bucksburn & District Pipe Band will be there to entertain you along with magician Garry Seagraves. Finish your visit off with some home made teas. More details can be found at ScotlandsGardens.org Hope to see you there! Description: Messy Moments are going to run a Taster Session on Tuesday 24th April from 1pm until 2pm. “Come along and join in the messy fun, explore and make a mess in different materials such as spaghetti, gloop, cereals. No mess for you mum’s, dad’s, grandparent’s to clean up. Description: We are delighted to be working in partnership with Jump In Trampoline Park to host Realxed Trampoline Sessions. Cost for this session will be £6 per participant, regardless of length of stay and carers will go free. Special socks must be purchased at £2 and are yours to keep and can be worn over own socks if there are sensory considerations. Siblings are welcome to attend to promote a positive, inclusive family activity. Ninjas will be there also to offer support. Please book directly with Jump In – quoting Me Too! Relaxed Session. Hear from new parents, about their birth and life with a baby. We will have couples attending to tell the story from both their points of view so it‚Äôs a great chance to get your partner along to ask any questions they might have. We are trying something different this month. No tickets, just come along and pay on the door, £2 per person. Let us know if you are coming…. we don’t want to run out of cake! Description: Join the Messy Mutz gang and follow the adventures of the pups from Mess Around. There’ll be exciting adventures in the Wild West, Safari, Under the sea, Pirates, Fairies and lots more! What are you waiting for, grab your pups and join us for the messiest adventure of the year! Little ones can squelch, pour, mix and get messy till their heart’s content! Description: The Fourth Trimester Group is a regular mother and baby support group, just outside of Aberdeen in the village of Cults, especially designed for mothers with babies 6 months old and under. The fourth trimester (the three months or so after birth) are a rollercoaster of hormones, sleep deprivation, and learning while you get to grips with looking after your beautiful new baby. Finding a support network of mums who really get what you are going through is so important, and that’s how the group came to be. There’s no expectations, and no judgement – just come as you are (even if you are on day 3 of dry shampooing your hair) and find hot tea/coffee, cake, sling advice and support, + lots of reassuring and inspiring chat from mums who ‘get it’.